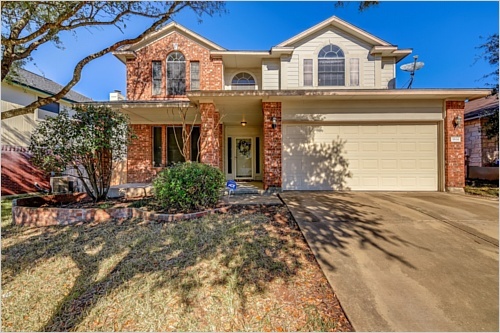 This gorgeous 2 story home with a fabulous open floor plan is located in a prime location on the edge of Round Rock, but in Pflugerville, and minutes from Austin. Just hop on I-35 or 45 to shopping, dining, and more! 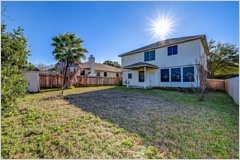 Enjoy porcelain tile wood-like floors, all new appliances, new fencing, and a 5 yr. old architectural shingle roof. 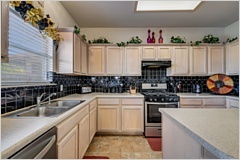 Entertain downstairs in an airy living, dining, and kitchen area an office/bedroom. Easy walk to the community pool, playground, and track.